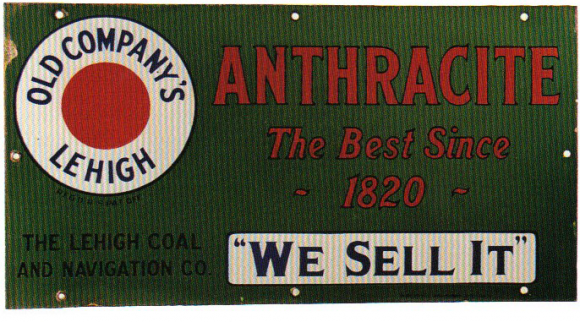 This is a rectangular Old Company’s Anthracite porcelain sign. This particular Old Company’s Anthracite sign is green with red and black text. It reads, “Old Company’s Lehigh, Anthracite The Best Since 1820, The Lehigh Coal and Navigation Co., We Sell It” and features a red and white circle in the upper left corner of the sign.